Sam DeAngelis is a New Jersey photographer who frequents our city. Most recently he visited Roosevelt Island with the likes of Adonis Taylor, Dave Lang, Danny Dags, and Yannes Sootes. Check out all the photos from the session after the jump. Make sure to take a look at all of Sam’s photos on his Flickr page. James Macay – 360 Topsoul. Photo: Cesar Macay. Coming out of Queens, NY Cesar Macay features photos of his younger brother James. If you don’t know James Macay by now, he’s the 11 year-old (that’s right eleven!) that’s doing the same tricks and switch ups it took you years to do. James always manages to grab the attention of the audience during our various NYC contests and the pictures featured today show why. At the young age of eleven, James has already been skating for five years. A bench mark that most skaters don’t reach till their late teen years. Check out James’ photos after the jump. Glenn Jersey is a great photographer out of Long Island, NY who’s stepping up and representing his part of New York. About a week ago Glenn sent an email asking why there wasn’t much coverage of Long Island on I Roll NY and I simply answered, no one from LI submitted any content yet. Taking the opportunity that was presented into his own hands, Glenn sent me some amazing pictures all out of the Long Island area showcasing their local spots and talented bladers. 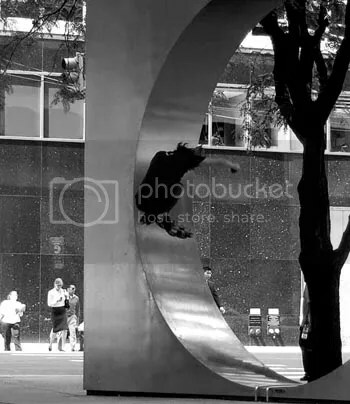 Check out Glenn’s sick photos featuring Joey G, Dan Bradham, and Neil Diskin after the jump. I want to say thanks to Glenn for taking advantage of what I Roll NY has to offer. I hope more people follow his lead and i’m sure we’ll see more work from Glenn in the future. One of my good friends Austin Croteau from Brooklyn, NY (of course!) messaged me about his session yesterday with Damian Michalski and Eric Matos in the Bay Ridge/Bensonhust area of BK. Yesterday being one of the hottest days of the summer not much skating went down before the heat eventually caught up to them, but photographer Drew Humphrey snagged a few great pictures of Austin lacing at the Rex Manor rail. Austin has improved every time I’ve skated with him and the photos definitely show his progression. Check the photos after the jump. Cesar Macay sent some photos from his recent session at Laguardia High School in uptown Manhattan, NY. Skaters include Malik Ashby, Brian Scott aka Cozmik and Cesar’s little brother James. Unfortunately the session ended quickly due to the massive amount of rain but Cesar was able to snap a few really well shot photos. “…the session with Cozmik at the laguardia ledges was a regular session. I haven’t seen him in months or maybe a year. We didn’t get to skate much that day but I took some shots and then it started pouring out of nowhere. I got pics of the crazy rain where we were stuck by the school check it” – Cesar Macay. Check Cesar’s photo below after the jump. This past week’s first Let’s Roll NY session held by Victor Callender and Wheels In Motion in the Bronx, NY had a big turn out. A lot of skaters came out to show support, meet new friends, and skate new spots. Evotek’s Adonis Taylor was there and snapped a few pictures of what went down including some of the skate spots and tricks that occured during the session. Check the rest of the pictures after jump. 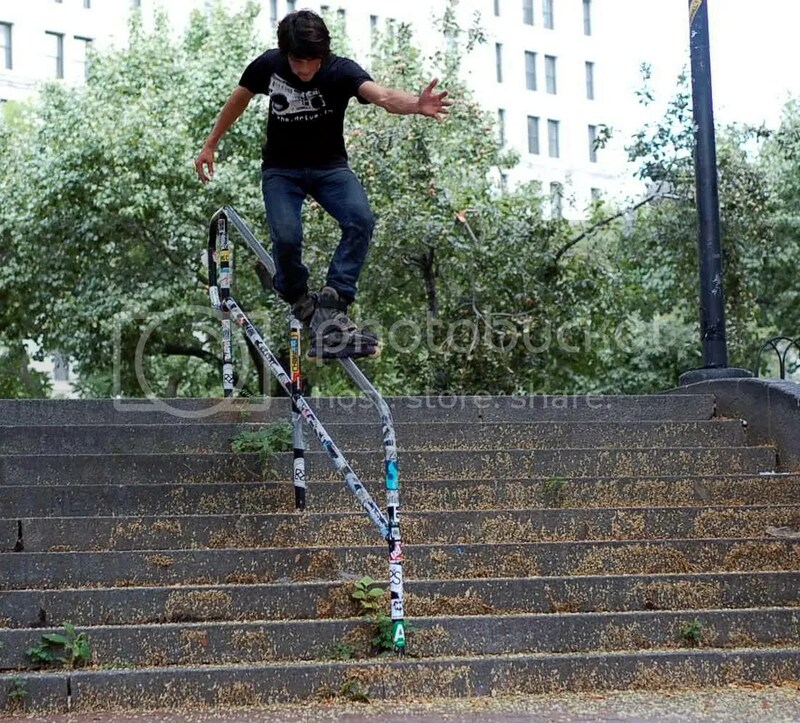 Angelo Ferrer posted his pictures from yesterday’s Wheels in Motion session in the Bronx, NY. 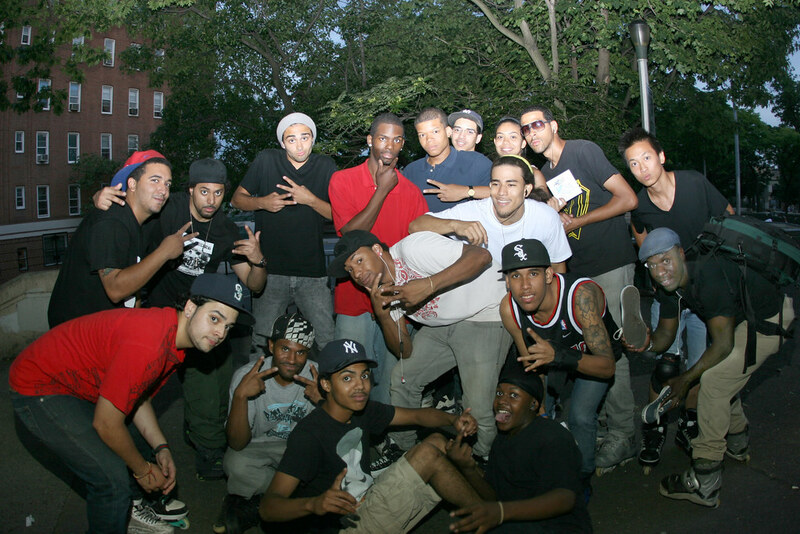 A lot of skaters came out and showed their support for Victor Callender and his first roll NY event in our area. Check out more photos from the session on Angelo’s flickr. Hopefully we’ll see more photos and edits as the sessions continue. 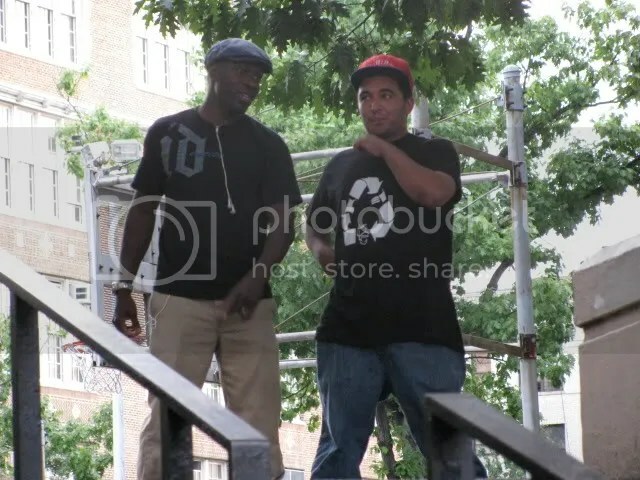 Thanks to Angelo Ferrer for always going out and capturing the events in NYC. 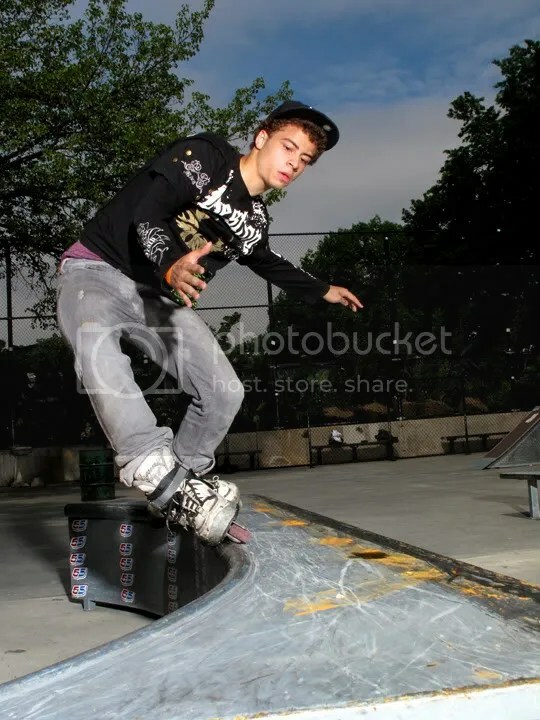 Photographer Peter Gigleo submits his photos from the Forest Park skate park in Queens, NY. 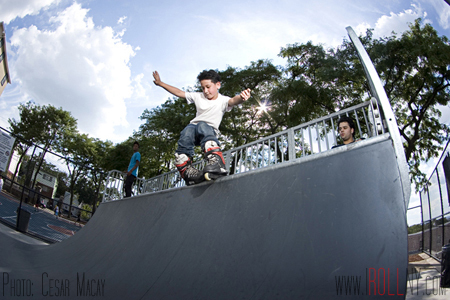 Peter photographed Arismendy Canela and Joshua H. and caught some great pictures of the park session. To see more of Peter’s work check out his Myspace page here. Forest Park skate park information here. More of Peter’s pictures after the jump. 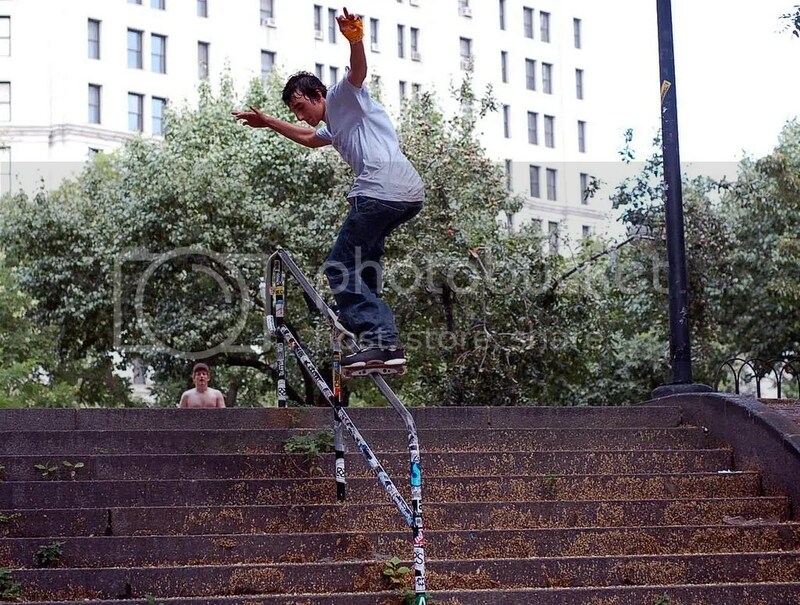 Josh Diaz is a Brooklyn, NY rollerblader and owner of Pysko clothing. He’s been updating his Flickr as of late with some incredible photos. Click on the picture above to see more of his work. Check out Josh’s Flickr here. And check out Psyko Clothing on the list of links.